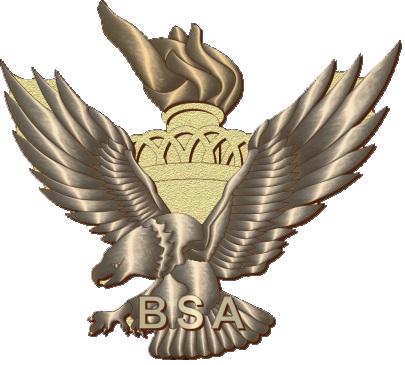 The Northern New Jersey Council, BSA (NNJC) is seeking applications from the Council's Eagle Scout Class of 2018 for the Glenn A. and Melinda W. Adams National Eagle Scout Service Project of the Year Award (ESSPY). The National Eagle Scout Association established the Glenn A. and Melinda W. Adams National Eagle Scout Service Project of the Year Award to recognize valuable service of an exceptional nature by an Eagle Scout to a religious institution, school, community or other entity through completion of an Eagle Scout Project. Examples of projects that have been selected for the ESSPY include projects that have benefitted underprivileged children, recognized veterans, been international in nature, and have required significant time and resources. Each year, local councils select a council-level winner. From the council winners, each region selects a region-level winner. The national winner is then selected from the four regional finalists and the award is presented at the BSA Annual Meeting. The NNJC winner is recognized at the annual NNJC Eagle Dinner and on the National Eagle Scout Association website. Eagle Scouts in the NNJC Eagle Scout Class of 2018 based on their Eagle Scout Board of Review being completed between January 1 and December 31, 2018. An Eagle Scout, his parents, or any registered BSA volunteer (with the Eagle Scout's permission) may submit the Eagle Scout's service project for consideration to the NNJC Service Center by January 15, 2019. The submission must include the completed award application (CLICK HERE), a name and summary of the project and the Eagle Scout’s contact information. A complete duplicate copy of his Eagle Scout Service Project Workbook (previously presented by the Scout to his Eagle Board of Review) must be attached to the application. Submissions should include any collateral material, photos, etc. that help to provide additional insight on the project. Questions about the submission process can be directed to Jerry Murnane, Advancement Committee Chair at jtmiii@optonline.net or 201-960-6421.